Flooding in the Calder Valley has once again caused havoc and disruption. Heavy rain over the Christmas weekend, falling onto the already saturated hills and moors, quickly ran down into the river valley, overflowing into the Rochdale Canal and the Calder & Hebble Navigation. On Boxing Day the streets in the middle of Hebden Bridge were waist-deep in water. 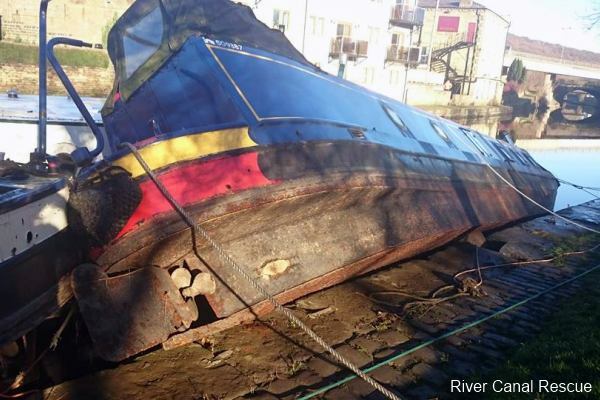 Several boats on the Rochdale Canal were swept from their moorings, with one left high and dry across the canal. As the water surged downstream it brought havoc to the Calder & Hebble Navigation between Elland and Brighouse. A number of boats were swept up onto the bank while four others were totally submerged. 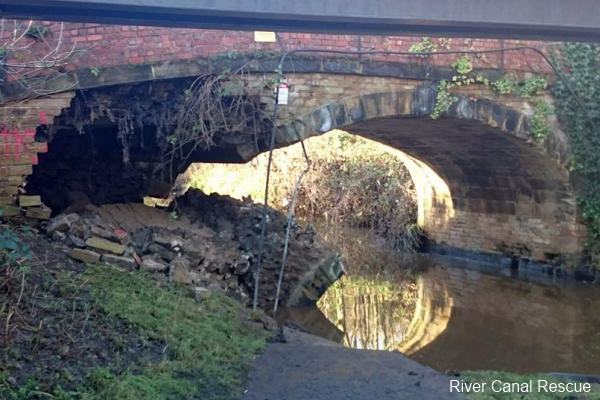 The towpath and part of the arch of Crowther Bridge, near Cromwell Lock, were washed away. 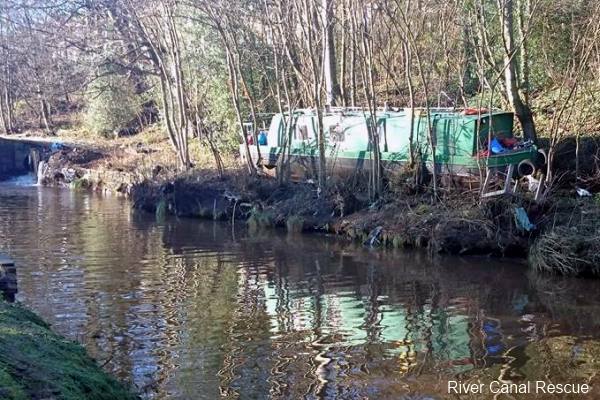 Two teams from River Canal Rescue have been in the area and have re-floated two of the sunken boats. They were hoping to refloat the other two today before looking at how the stranded boats might be retrieved. They urge boaters affected to raise an insurance claim and to act quickly to mitigate the cost of the claim. 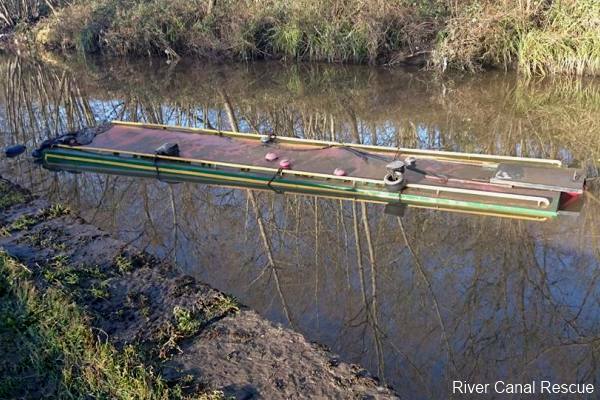 These photographs are from River Canal Rescue. More photographs of the problems between Elland and Brighouse can be seen on River Canal Rescue's Facebook page. Contact information for River Canal Rescue can be found on their website.